written by Leon F Seltzer Ph.D.
3. Believes that he or she is "special" and unique and can only be understood by, or should associate with, other special or high-status people (or institutions). 2. ...Have low self-esteem. This facet of their psyche is complicated, because superficially their self-regard would appear to be higher and more assured than just about anyone else’s. Additionally, given their customary "drivenness," it’s not uncommon for them to rise to positions of power and influence, as well as amass a fortune (and see here my post “Narcissism: Why It’s So Rampant in Politics”). But if we examine what’s beneath the surface of such elevated social, political, or economic stature—or their accomplishments generally—what typically can be inferred is a degree of insecurity vastly beyond anything they might be willing to avow. 3. ...Can be inordinately self-righteous and defensive. Needing so much to protect their overblown but fragile ego, their ever-vigilant defense system can be extraordinarily easy to set off. I’ve already mentioned how reactive they typically are to criticism, but in fact anything said or done that they perceive as questioning their competence can activate their robust self-protective mechanisms. Which is why so many non-narcissists I’ve worked with have shared how difficult it is to get through to them in situations of conflict. For in challenging circumstances it’s almost as though their very survival depends on being right or justified, whereas flat out (or humbly) admitting a mistake—or, for that matter, uttering the words “I’m sorry” for some transgression—seem difficult to impossible for them. 4. ...React to contrary viewpoints with anger or rage. In fact, this characteristic is so common in narcissists that it’s always surprised me that DSM doesn’t specifically refer to it among its nine criteria. Repeatedly, writers have noted that angry outbursts are almost intrinsic to both narcissistic and borderline personality disorders. And although (unlike the borderline) it’s not particular fears of abandonment that bring out their so-called “narcissistic rage,” both personality disorders generally react with heated emotion when others bring their deepest insecurities too close to the surface. The reason that feelings of anger and rage are so typically expressed by them is that in the moment they externalize the far more painful anxiety- or shame-related emotions hiding just beneath them. When they’re on the verge of feeling—or re-feeling—some hurt or humiliation from their past, their consequent rage conveniently “transfers” these unwanted feelings to another (and see here my PT post “Anger—How We Transfer Feelings of Guilt, Hurt, and Fear”). 5. ...Project onto others qualities, traits, and behaviors they can’t—or won’t—accept in themselves. 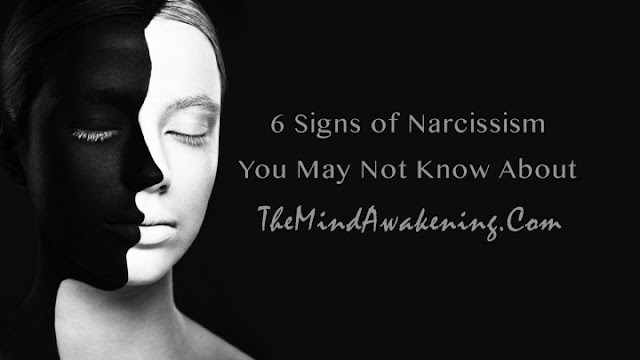 Because they’re compelled from deep within to conceal deficits or weaknesses in their self-image, they habitually redirect any unfavorable appraisal of themselves outwards, unconsciously trusting that doing so will forever keep at bay their deepest suspicions about themselves. Getting anywhere close to being obliged to confront the darkness at their innermost core can be very scary, for in reality their emotional resources are woefully underdeveloped. 6. ...Have poor interpersonal boundaries. It’s been said about narcissists that they can’t tell where they end and the other person begins. Unconsciously viewing others as “extensions” of themselves, they regard them as existing primarily to serve their own needs—just as they routinely put their needs before everyone else’s (frequently, even their own children). Since others are regarded (if they’re regarded at all!) as what in the literature is often called “narcissistic supplies”—that is, existing chiefly to cater to their personal desires—they generally don’t think about others independently of how they might “use” them to their own advantage. Whatever narcissists seek to give themselves, they generally expect to get from others, too (which is yet another dimension of their famous—or infamous—sense of entitlement). To conclude, I can only hope that these additional characterizations of the pathological narcissist (vs. those with less pronounced narcissistic qualities) may be helpful in enabling you to identify them before their “malignancy” does a number on you. And if you’ve already been duped by their machinations or manipulations, perhaps this piece will be a “heads up” for you to prevent them from wreaking any further havoc in your life.